Supported Literacy for Adolescents, written by nationally recognized experts, introduces an innovative and field-tested instructional framework for preparing secondary students to succeed academically in a fast-changing and globally networked world. Filled with examples from science, history, literature, and special education classrooms, the book shows how teachers can enable diverse students, including under-performers, to develop critical thinking and other essential competencies along with the "multi-literacy" tools needed to engage in twenty-first century content learning. About Carol J. Bershad (Author) : Carol J. Bershad is a published author. A published credit of Carol J. Bershad is Supported Literacy for Adolescents: Transforming Teaching and Content Learning for the 21st Century . About Catherine Cobb Morocco (Author) : Catherine Cobb Morocco is a published author. 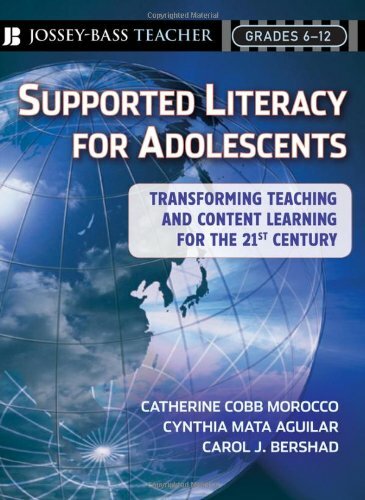 A published credit of Catherine Cobb Morocco is Supported Literacy for Adolescents: Transforming Teaching and Content Learning for the 21st Century . About Cynthia Mata-Aguilar (Author) : Cynthia Mata-Aguilar is a published author. 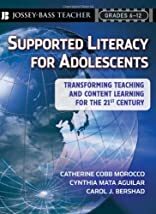 A published credit of Cynthia Mata-Aguilar is Supported Literacy for Adolescents: Transforming Teaching and Content Learning for the 21st Century .